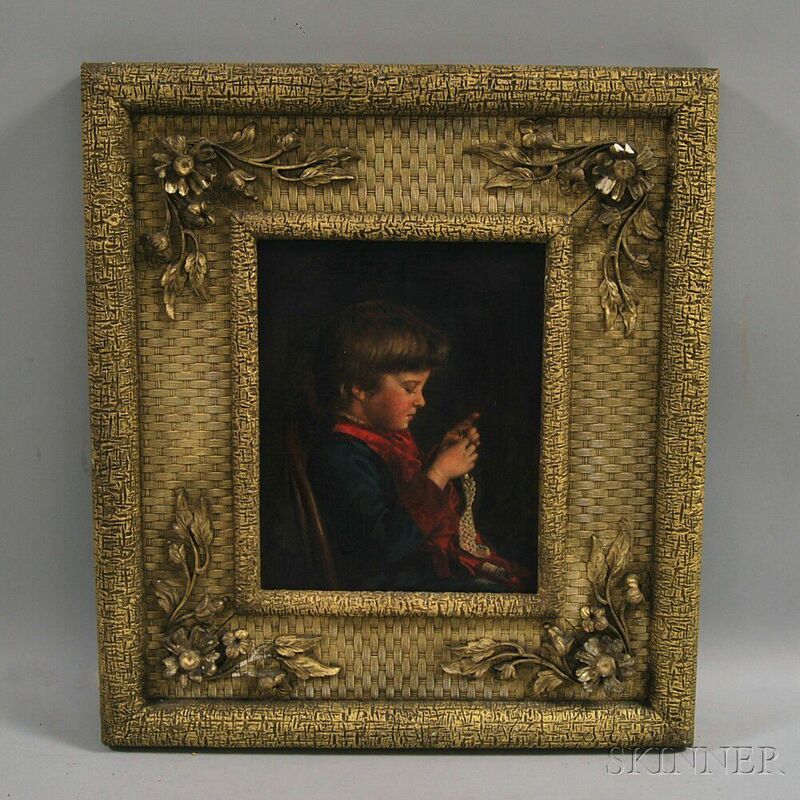 John Donaghy (American, 1838-1931) Young Girl Crocheting. 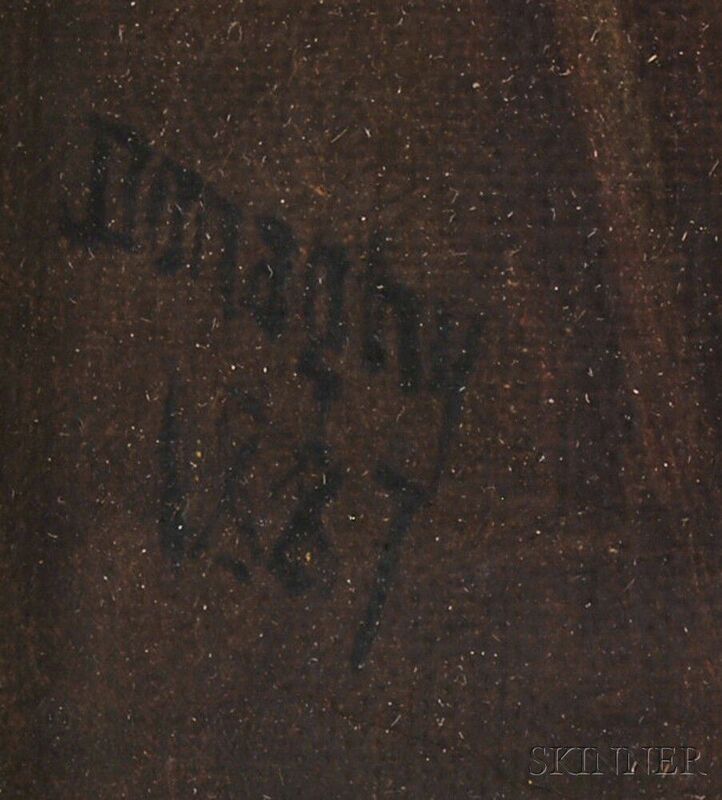 Signed and dated "Donaghy/1887" l.l. Oil on canvas, 10 x 8 in., in an Arts and Crafts style frame. Condition: Scattered retouch, craquelure, mild surface grime.